Never Miss Another Auction Again! Harris Auction is proud to bring you the future of auctioneering services in Prescott, AZ, and areas across the country. 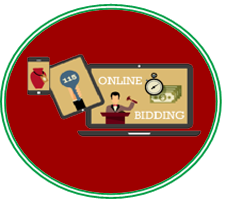 Our auctioneers bring you the best in online bidding battles, vehicle auctions, storage unit auctions, and more. Directions: Take Iron Springs Rd, Turn Meadowridge Rd (by the Dry Gultch Sign), Rt- Adams Ave (by the Dry Gultch), Left- Shoup St. (No Outlet). Sale on Left. Follow the Auction Arrows. Household, Furniture, Antique, Collectibles, Sports, Everything Must GO!! Directions: Hwy 89 Near Yarnell mile post -- Turn on Hays Ranch Road (Curves past Model Creek Elementary School). Left- Unknown Mexican Ave. Rt- Aggie Hoodge Rd. Left- Pioneer Ave. Left- Frontier Rd. Sale on the Right. Follow the Auction Arrows. Auctioneer's Note: Everything Must be SOLD this day! Household, mechanic, hand & power tools, contents of the house and 2 shops, riding mower, plus MORE? Urgent Sale!! Updates & Pic Page Soon. 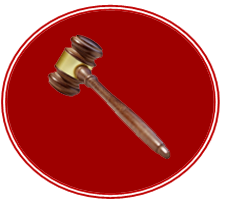 Harris Auction based in Prescott, Arizona, is a full-service auctioneering service selling all manners of personal property. We have been doing business for government agencies, fiduciaries, and attorneys for thirty years. We are experts of on-site sale held at your home or business. We can also pick up and transport anything to our warehouse sale location, and arrange pickups and deliveries. Harris Auction is a "Full Service" Company. 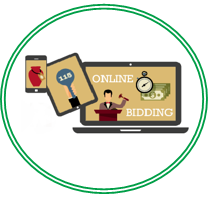 We have the experience and knowledge necessary to tackle every kind of auction. In our thirty years of experience, we've conducted sales of everything from the single item to the million dollar estate, government surplus, storage liens, vehicles, heavy equipment, tools, farm/ranch, construction, processing plants, warehouse stock, including work for fiduciary and attorneys. We can sell all types of personal property through live, verbal, online, and e-commerce sales. We hold a Federal Firearms License as a service to our sellers. Be sure to check back with us regularly or sign up for our emails. 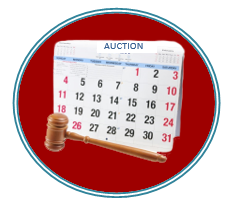 Whether you’re in a live auction or online auction, things can change quickly; the most urgent sale only gave us a three-day notice. Thank you for your visit to our site. We hope to see you soon at one of our exciting sales. Sign up to get Harris Auction Emails. You can Choose "ALL AUCTIONS" and receive Notice of Every Sale or choose one or more from categories you (only) wish to be notified about. Often sales are in combination and what we sell changes weekly. Don't miss out. Specializing in Prescott, Prescott Valley, Chino Valley, Wickenburg, North Phoenix, Cottonwood, Quartzsite, and Beyond. Serving all of Arizona and Beyond. Preferencing all of Yavapai County, Northern & Western Maricopa County, Southern Navajo, and La Paz & Yuma Counties.